Our smallest room maybe, but filled with the most charm. Features a queen poster bed covered by a handmade quilt and down comforter, and view of the garden patio. 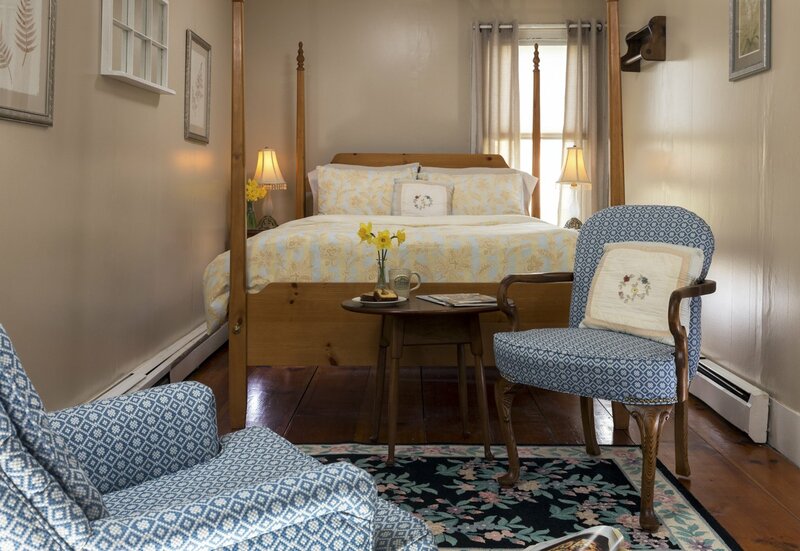 Two comfortable chairs and a small private bath with plush robes, add to the charm of this room. Sleeps two.